Peanut butter cookies are classic. This recipe dresses up store bought peanut butter cookie dough by pairing it with a homemade cream cheese filling. Cream cheese, peanut butter, honey and powdered sugar are beat together until smooth and then spread over the cookies. 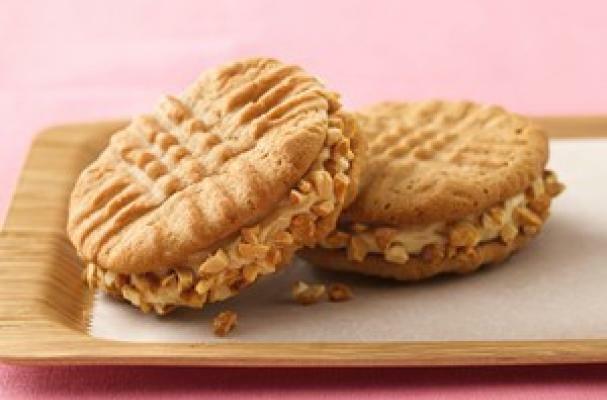 Once sandwiched together, the cookies are rolled in chopped honey roasted peanuts. If you love the combination of chocolate and peanut butter, you can opt for rolling in mini chocolate chips instead. These cookies are super simple and super delicious!